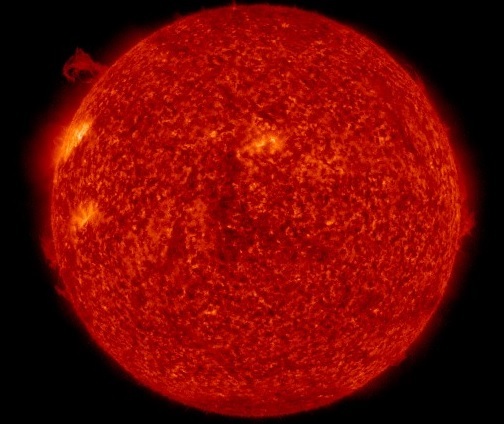 An 8-hr movie recorded by extreme ultraviolet telescopes onboard the spacecraft shows what happened: A tornado of magnetized plasma became unstable when the twister twisted a bit too much. Magnetic fields crissed, crossed, and exploded in a process known as "magnetic re-connection." The flying debris will not hit our planet; the blast was too far off the sun-Earth line. 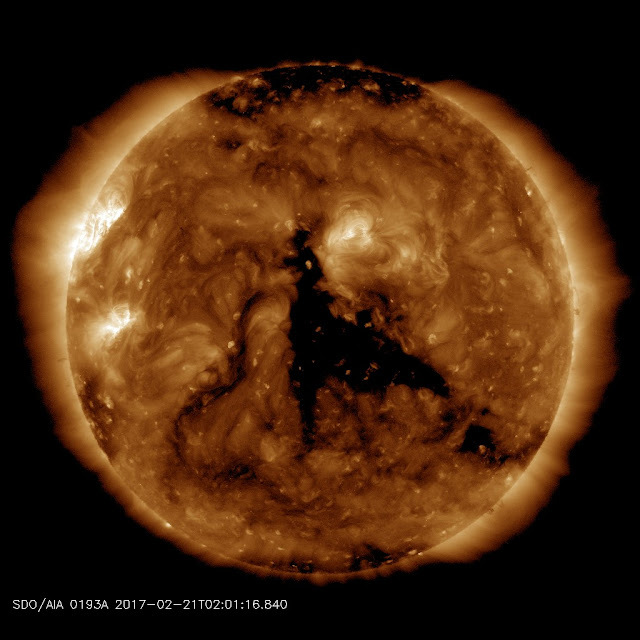 Meanwile a massive coronal hole is still facing Earth meaning we could still expect more major quakes and volcanic activity in the coming days. 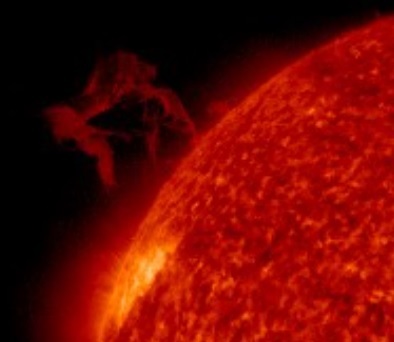 Solar wind flowing from the indicated coronal hole should reach Earth on Feb. 23-24. Credit: NASA/SDO. Matthew 24:35: Heaven and earth shall pass away, but my words shall not pass away. wonderful to see believers in Christ on the post; may the Lord bless you all. No worries! God is on the throne! Annnnnd.......nothing happened, silly bible thumpers.